Sweets Mama will make personalized treats that look great and taste better, all while creating a wonderful experience and lasting memories. I started Sweets Mama in 2013 as a passion project turned small business. I wanted to show my children that you can always go after your dreams and have some fun while doing it. As a mother to three kids, I'm a busy mama that strives to make sweet treats for all occasions. Inspired by taste first, I work hard to find recipes that are personalized and filled with the freshest and best ingredients. After a lot of trial and error, I started creating treats that not only look good, but taste better. The goal is to bring cupcakes, cakes, and specialty desserts to my customers exactly as they dreamed. I'm happy to make classic flavors to seasonal favorites, as well as cookies, bars, pies, and cheesecakes. I hope to make your day just a little bit sweeter. Taste is first priority. Choose your favorite flavor or work on a custom order to mix and match. Below is a list of some favorites but if you're not finding what you wanted, just let me know what you're looking for. I can create any flavor you need from basic flavors, seasonal flavors, unique flavors, and custom flavors. Custom orders and ideas are always welcome! The yin to Vanilla's yang. Rich, moist and sinfully chocolatey. 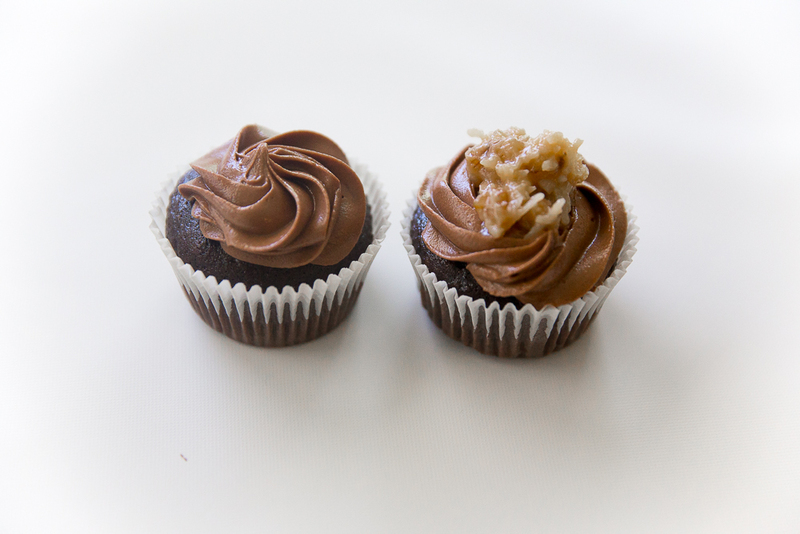 Chocolate cupcake with a rich and gooey caramel coconut filling, this one will leave you wanting more. Another classic, another satisfied tastebud. Perfect consistency of a sweet and salty mix that meet both sides of your cravings. A light and refreshing sweet treat perfect for a spring or summer day. The right amount of citrus to compliment the sweet. A sweet lemon cupcake with poppy seeds folded in to take a traditional breakfast treat to an all day experience. 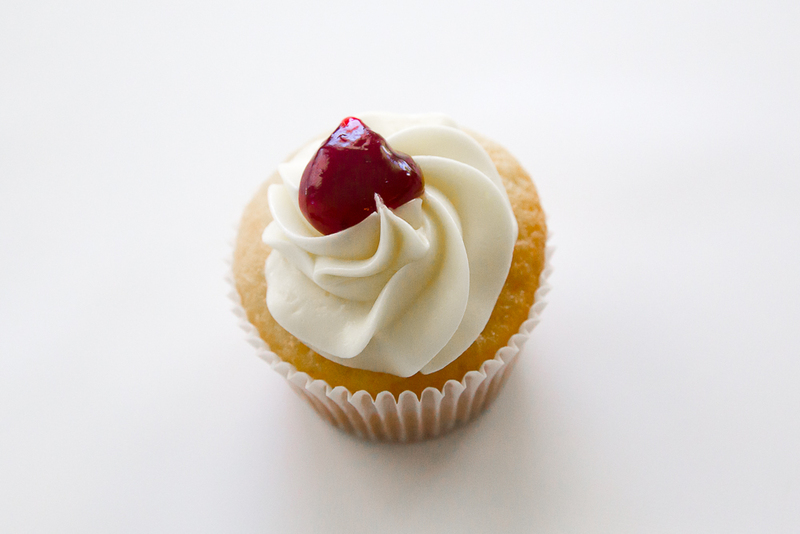 With a rosy red complexion and a snowy white cream cheese frosting, red velvet is stunning. Fluffy peanut butter folded in gives a chocolate or vanilla cupcake a beautiful marriage of flavor. A fun and fresh twist on a cookie classic. A vanilla cupcake with fresh strawberry buttercream topped with a strawberry. A vanilla cupcake with raspberry filling and fresh raspberries on top. The epitome of fall. All the flavors and seasonings of a pumpkin pie in a cupcake topped with light cinnamon buttercream frosting. 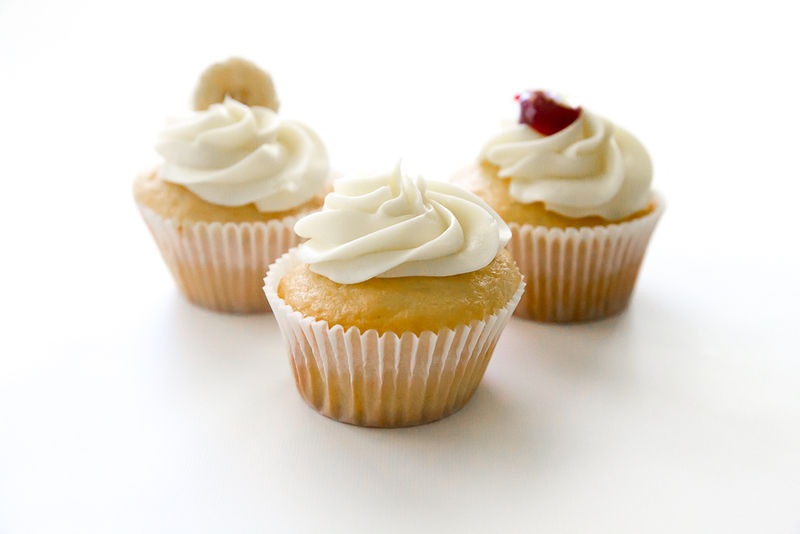 Fresh bananas folded into vanilla cake and topped with fresh banana buttercream. Sweet flavors of cinnamon, cream cheese and carrots packed into a tried and true classic. 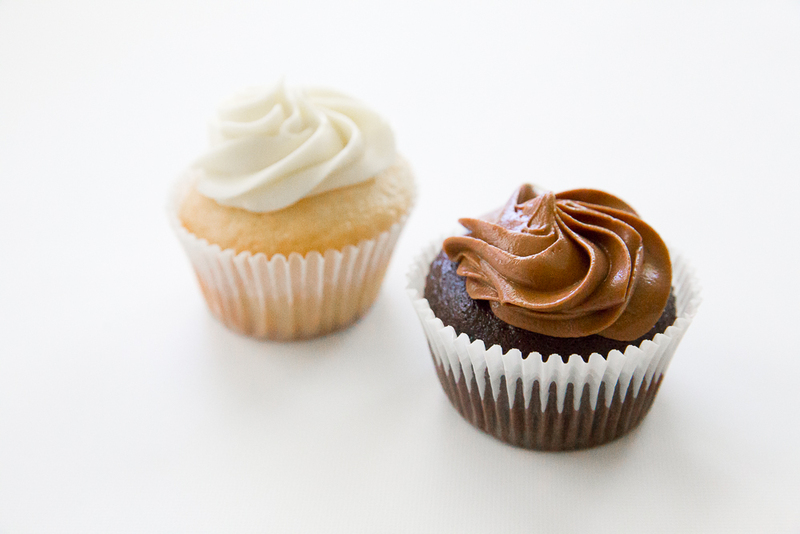 To start, choose a cupcake flavor of your choice and each can accommodate gluten-free, vegan, or any other dietary preference. I make all orders as ordered, so we can mix and match your favorite flavors. I can also make each cupcake simple and sweet, or to match your party theme. Pricing for mini cupcakes start at $10.00 per dozen and regular sized are $20.00 per dozen. Contact me for a personal quote! 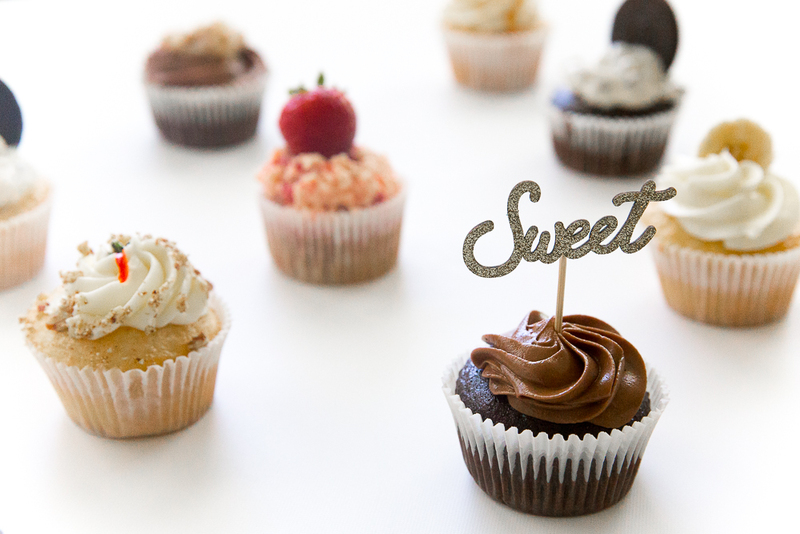 Made custom to your taste preference, our cakes can be made in all the same flavors as our cupcakes. Designed as you dream it, I will build the perfect cake to wow your guests for any occasion. Pricing for cakes vary depending on design, size, and servings. Contact me for a personal quote. Cheesecake? Brownies, bars or cookies? The perfect dessert bar for a big wedding or event? I love a new creative idea. Contact me today for a custom quote on your perfect dessert. I can also accommodate any dietary restrictions necessary! I'd love to create for you! Contact me using the form below. I'll respond to your email within 24-48 hours.